Nov. 7, 2013 – Two groups of scientists at the Children’s Medical Center Research Institute at UT Southwestern (CRI) have made complementary discoveries that break new ground on efforts to turn back the body’s clock on cellular activity, paving the way for a better understanding of stem cells, tissue growth and regeneration. 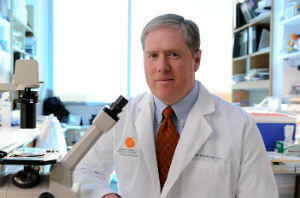 A team led by Dr. Sean Morrison, Director of CRI, Professor of Pediatrics and the Mary McDermott Cook Chair in Pediatric Genetics at UT Southwestern Medical Center, has identified an RNA-binding protein called IMP1 that promotes stem cell self-renewal during fetal development. Self-renewal is the process by which stem cells divide to make more stem cells, which is important for the growth of tissues during fetal development and the regeneration of tissues throughout adult life. 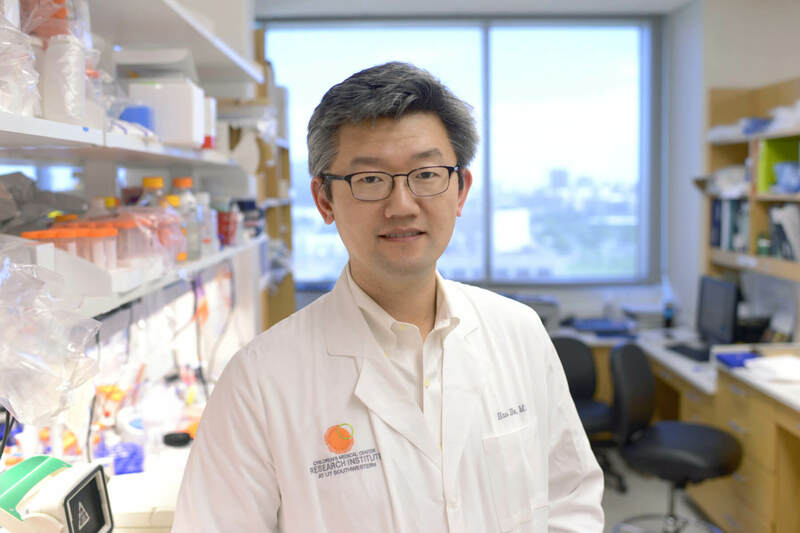 At the same time, researchers including Dr. Hao Zhu, who also directs a lab at CRI and is Assistant Professor of Pediatrics and Internal Medicine at UT Southwestern, have shown that another RNA-binding protein, Lin28a, also promotes tissue repair by reactivating a metabolic state reminiscent of the juvenile developmental stage. Dr. Zhu’s research, published in Cell, showed that reactivation of Lin28a — a gene that is normally turned on in fetal but not adult tissues — substantially improved hair regrowth and accelerated tissue repair after ear and digit injuries. Dr. Morrison’s investigation, published in the online journal eLife, identified a set of genes including IMP1 that are turned on only within time-limited windows, and control developmental switches in stem cell properties between fetal development and adulthood. IMP1 is turned off during late fetal development, partly as a consequence of increasing expression of a third family of RNA-binding molecules called let-7 microRNAs. Importantly, let-7 microRNAs are turned on during late fetal development in part due to declining expression of Lin28a. That connection between IMP1, let-7 and Lin28a shows how the Morrison and Zhu laboratories studied molecules at different ends of the same pathway — one that regulates stem cell self-renewal and tissue regeneration by modulating the expression of a network of RNA-binding proteins. A previous study from the Morrison laboratory found that expression of let-7 increases throughout adulthood, reducing the activity of stem cells in older animals. The current findings show that IMP1 inhibits the expression of genes that trigger stem cells to commit to specific fates, while promoting the expression of genes related to self-renewal. Further studies are likely to identify many more genetic targets that enable stem cells to adapt their properties to the changing growth and regeneration demands of tissues over an organism’s life span. Together, these studies demonstrate that a network of RNA-binding proteins that are turned on specifically during fetal development promote stem cell function and tissue growth by regulating cellular proliferation and metabolism. The loss of Lin28a and IMP1 expression from adult tissues partly explains why adult tissues no longer grow and have less stem cell function than fetal tissues. Thus, by modulating the function of these pathways in adult stem cells, it may be possible to enhance tissue regeneration. Dr. Zhu’s work was initiated while he was a postdoctoral fellow in Dr. George Daley’s laboratory at Children’s Hospital Boston. Other members of the Daley laboratory, including Shyh-Chang Ng, contributed to this study, and Dr. Daley was senior author on the paper. The work in the Zhu and Morrison laboratories was supported by the National Institutes of Health, the Cancer Prevention and Research Institute of Texas, the Howard Hughes Medical Institute, and donors to Children’s Medical Center Foundation.